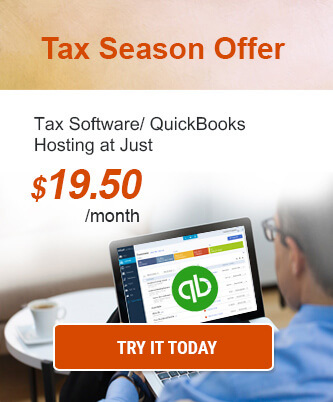 ATX Software is among tax software that are trusted and recommended by tax preparers. It has been helping many tax professionals across various domains. Ease-of-usage, availability of a vast number of forms, and transfer of data within returns are some of the features that make this software fan favorite. Even though it is one of the most loved tax software in the market at present, there are some limitations in the desktop version of the software which hamper the performance of the tax preparer. It is difficult to collaborate with the clients and colleagues as only one person can use the software on one desktop at a time. With the lack of collaboration among users, the productivity is limited. To access the software by multiple people at a time, the user has to install the software on different desktops leading to a considerable expenditure. Also, a massive amount of client data has to be managed and stored securely. It is problematic as the desktop or local server may have limited space and are also not safe and secure. 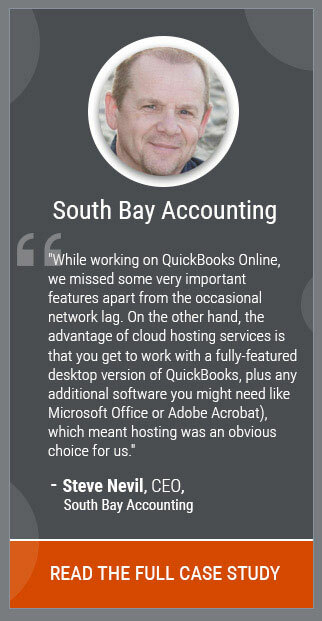 How Hosting ATX Tax Software on Cloud Overcomes these Limitations? ATX Tax Software Hosting is not only the solution to the problems mentioned above but also provides many features which might be beneficial to the tax preparers. Check out this video by Ace Cloud Hosting which shows how ATX Software Hosting is useful for a tax preparer. Let’s explore the points mentioned in the video in detail. Hosting ATX Tax Software on cloud allows the tax preparer to engage and coordinate with their clients, colleagues, and employees simultaneously. It enables them to work on the same tax files and data simultaneously from anywhere. Leading cloud providers provide tax data security beyond the thinking of anyone. Firewalls, anti-virus, anti-malware, Intrusion Detection System (IDS), Intrusion Prevention System (IPS), automated backups, and onsite security are some of the many security protocols followed by the major cloud providers to protect the tax preparers tax data. Cloud technology provides a cost efficiency as it replaces the local IT infrastructure significantly. That means no installation, upgrade, and maintenance of IT, no regular checkups or upgrades, and no expenses on IT team as everything is taken care of by the cloud provider. There is a myth that switching to the cloud version of ATX Tax Software will be difficult and complicated for the accountants, CPAs, and tax preparers as the platform may be unfamiliar for them. However, the hosted version of ATX is entirely similar to the desktop version. That means that the features and functions available on the hosted version and the desktop version are same. Tax professionals who have been using the ATX Tax Software on the desktop since long and want modern features, such as multi-user collaboration, remote accessibility, and device-independence, ATX Software hosting is the product for you. It gives you the same solution set and usability with improved quality. My data was secure even during a recent natural disaster. I thought I had lost it all, but I was proven wrong. I completely agree with the 4th point. I never faced any operational issue with the ATX hosted software in my 1.5 years of use. Amazingly explained the video. Please continue to create such content as it was very explanatory and beneficial. Thanks, Rado. Glad you liked it.